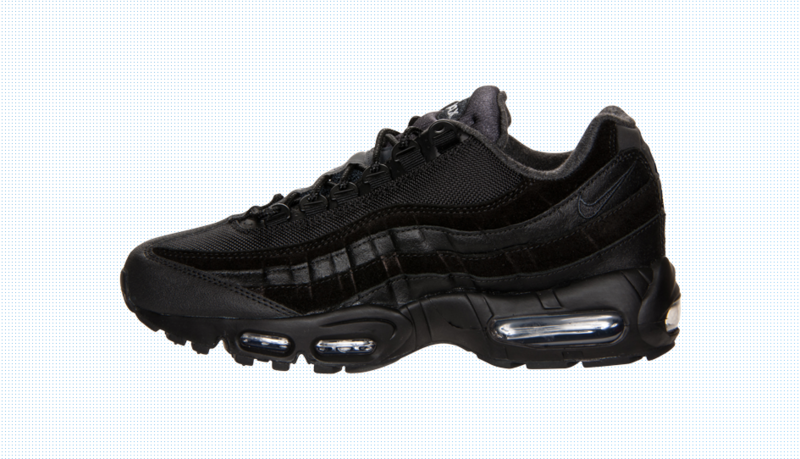 The Air Max line from Nike is undoubtedly one of the most popular running shoe lines of all time, and many consider the Air Max 95 to be the best shoe from the series thus far. Debuting more than fifteen years ago, the Air Max 95, or more commonly known by sneakerheads as simply the ’95, is still one of the best selling Nike models. Designer Sergio Lozano drew inspiration for the 95’s unique design from the human body. The back reflective panel represents the spine, the loopholes for the laces represent the ribs, the graduated side panels represent muscle fibers, and the mesh used on the upper represents skin. Another unique feature of the ’95 that made it different from other Air Max’s was its minimal branding. Where most Air Max’s feature a large Swoosh on the side of the shoe, the ’95 has only one tiny Swoosh on the back ankle. Thanks to these design features, the ’95 had a very sleek look, and the whole shoe seems to flow together effortlessly. However, they are far from humdrum, and the bright accent colors along with 3M hints throughout the sneaker guarantees that heads will turn. 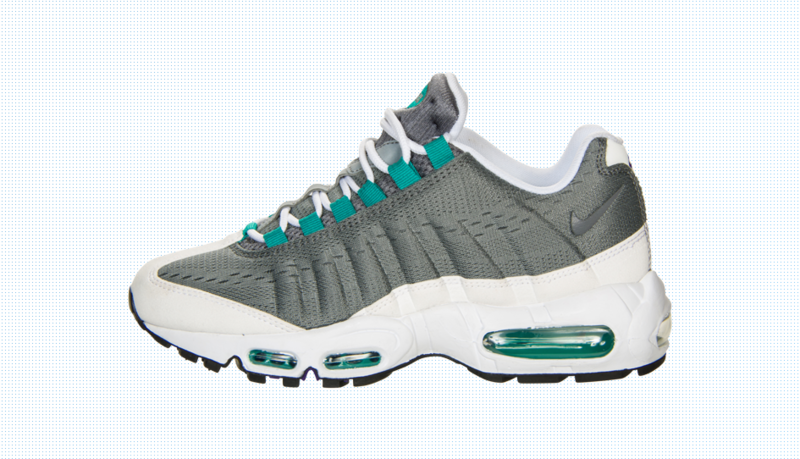 With over 150 colorways since its conception in 1995, the Nike Air Max 95 will always remain a favorite for sneakerheads. Today, the shoe is offered in a variety of different materials and unique color options, and thanks to the inimitable design of the shoe, there are endless possibilities for what Nike can do with them next.